Prostate cancer is one of the most common forms of cancer diagnosed in men, and yet it is one of the last things you’ll ever hear a guy talking about. 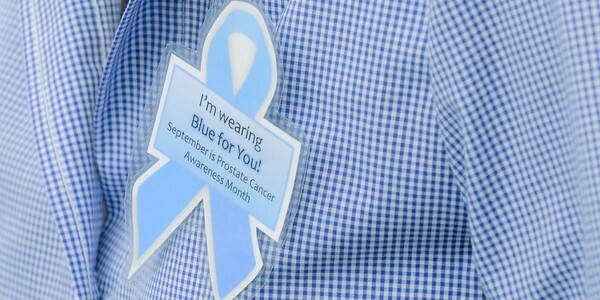 This is something we would like to change during September, as it is Prostate Cancer Awareness Month! If you aren’t willing to talk about it with friends or family, at least you might be willing to discuss this risk with your doctor. Prostate cancer is the second leading cause of cancer-related death among men, but it boasts very high survival rates when it is caught early. So yes, this form of cancer can be quite deadly (only outpaced by lung cancer). Clinical studies have shown that nearly one in six men will be diagnosed with prostate cancer over the course of their lifetimes. Each year, about 218,000 men are diagnosed with this disease each year and another 32,000 men will end up dying from it. The American Cancer Society thinks more men should take this opportunity to discuss their prostate screening options with their primary health care provider. Throughout Prostate Cancer Awareness Month, information regarding the risks and potential benefits that can be gained from regular screening will be made readily available. It is recommended that men at average risk for prostate cancer should begin considering annual screening beginning at age 50. If you are at higher risk for this disease, then you might not want to wait that long. If you are looking for additional resources on prostate cancer, the American Cancer Society currently offers a variety of support programs and services that are available free of charge. In fact, there is a toll-free cancer information hotline that you can call at 1-800-227-2345 any time seven days a week. If you have been diagnosed with prostate cancer, then you may also want to consider looking into Man to Man, a local support group with the sole mission of connection men living with prostate cancer to survivors who understand exactly what they go through.